Notice the lovely shape that you get when this is done. The shapes that embroideries create are as important as the actual embroidery. 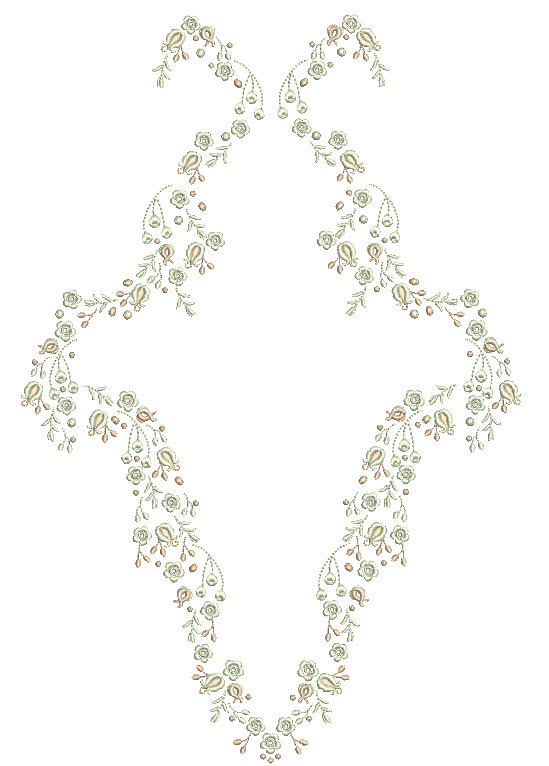 The third design in the set has been digitised to create an interesting shaped panel. Stitch a row of these out using the outline alignment stitches as a guide, or remove the small segment (this is actually the freebie for the set) on the left of the designs for a totally different look. 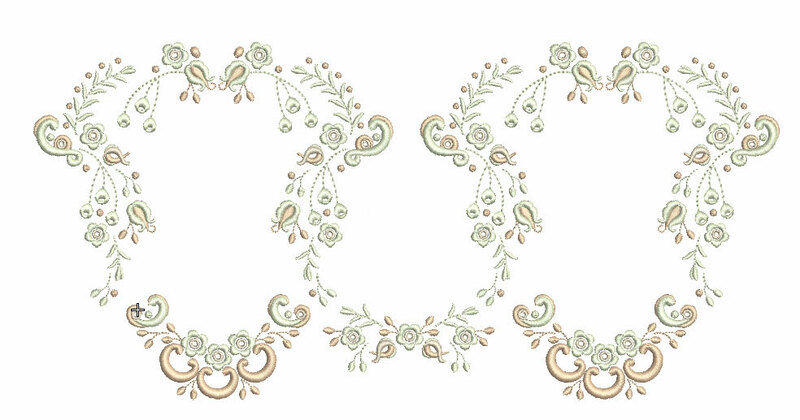 I took two of may favourite scalloped designs combining them to create this design shown below. I have adapted them somewhat but you will find that GFE-UPP-1-1 will join them nicely at the bottom and GFE-UPP-1-2 fits well above it. GFE-UPP-5-5 has the scalloped button holes added so you can thread ribbon or strips of matching fabric through each pair of holes. If you require a wider band then edit the design to create another section to place each side including the button holes or just the scalloped segment. However some of you may prefer to use the middle section each side without the cross. It will depend on the width of embroidery that you require. I plan to create a tutorial on embroidering a Christening gown with this collection and would be interested to hear which are your favourite designs and what possible designs would enhance the versatility of this collection. Feed back from my customers is vital and I encourage it so that in the future I can improve my designs or add to collections. I have gone into some detail on four of the designs in this new collection will be released on May 21st, 2015. 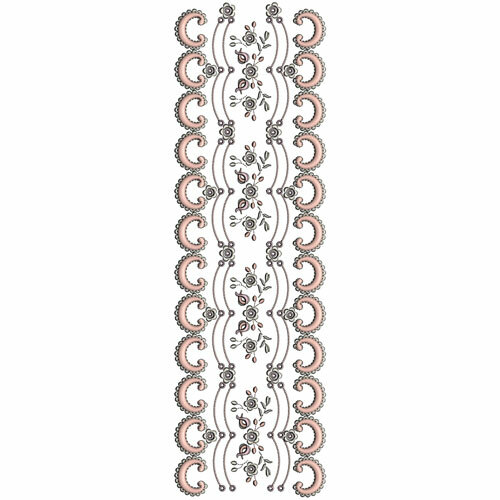 However there are 8 more in this set, several of which are narrow borders like the one shown above. There will be more ideas in the accompanying PDF which comes with the designs! I hope I have inspired you and that you will be able to create beautiful heirloom embroidered garments fit for a little princess like the one who was born earlier this month to the Duke and Duchess of Cambridge. This entry was posted in Discussing machine embroidery, Embroidery projects, New Designs and tagged combining embroidery designs, Heirloom, Outline alignment stitches. Bookmark the permalink.